Happy New Year! 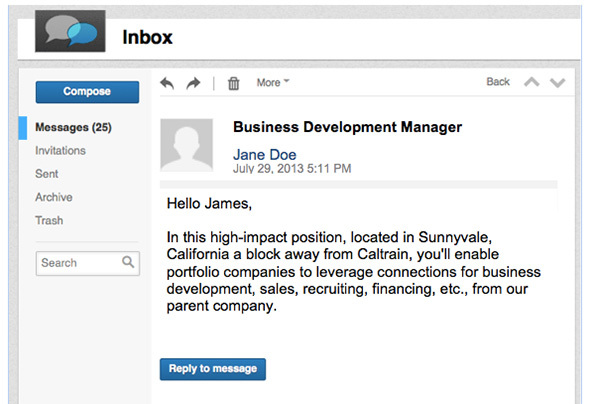 As we were filing 2013 away, we collected some of the “choicest” recruiting InMails that a random close-to-home sampling of Silicon Valley talent received this past year. Enjoy the list and remember not to make any of these mistakes the next time you reach out. You want the prospects to be impressed by your great research skills and knowledge of their background… not distracted by your snafus. 1. 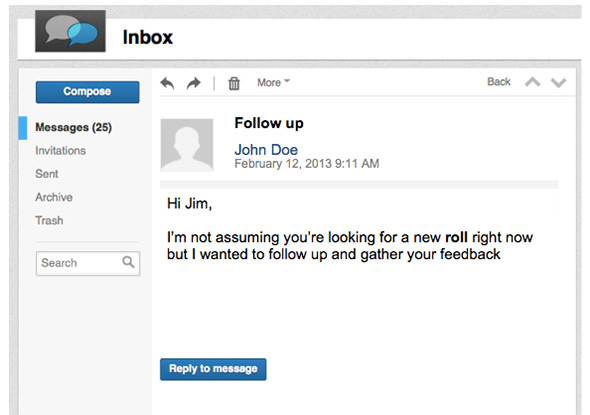 Yes, please do spell- (and context-) check your message multiple times. Bad spelling not only reflects poorly on you but also discredits what you may have to offer. 2. Icebreaker introductions are nice...if the transition to your main point is smooth and relevant. Showing personality is good. Rambling on about personal or honestly irrelevant topics may be mildly unsettling. 3. Use flattery in moderation. If it isn’t genuine, your audience will see through it. We are sure Jenny is a great person, but this was a little overboard. 4. 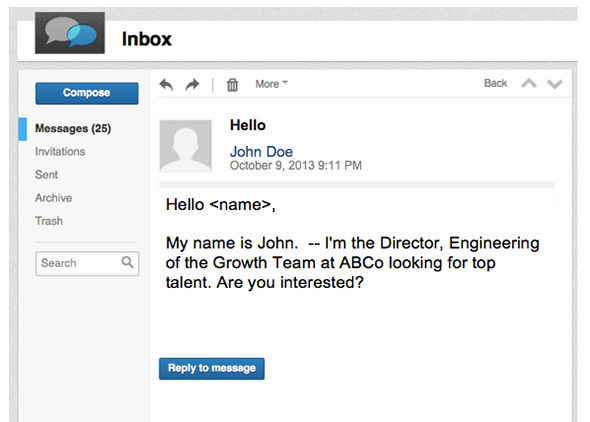 Make sure you check out the recipient’s LinkedIn profile before you send the InMail. 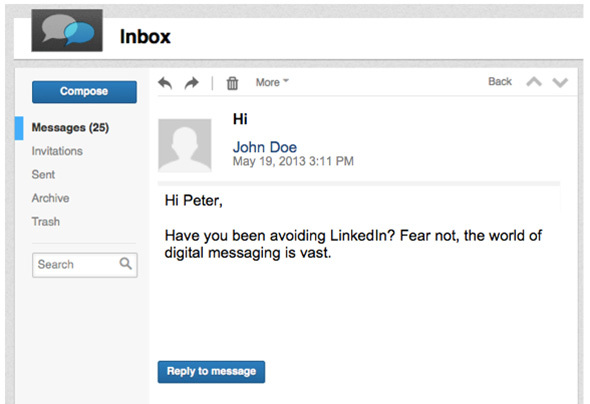 In this instance, Peter works for LinkedIn, and the recruiter came off as unprepared. 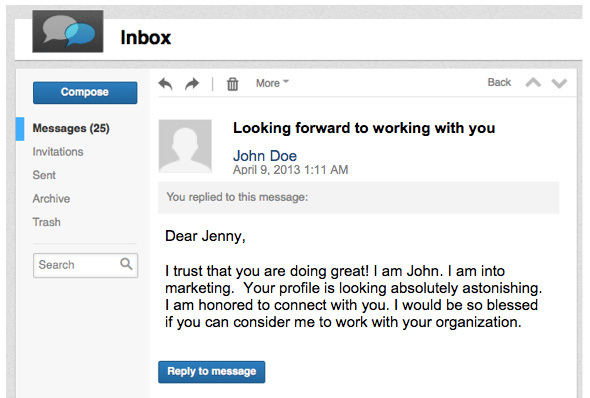 Researching the recipient’s profile will help you personalize the message and improve the chances of a response. 5. 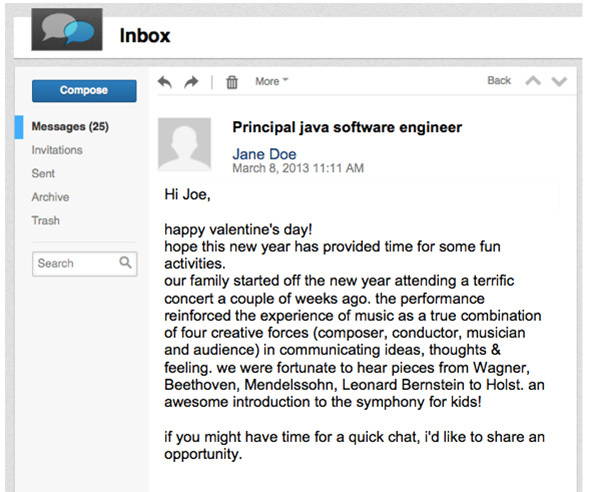 Make sure the InMail is going to be relevant to the recipient. Don’t offer them a position that has nothing to do with their background. 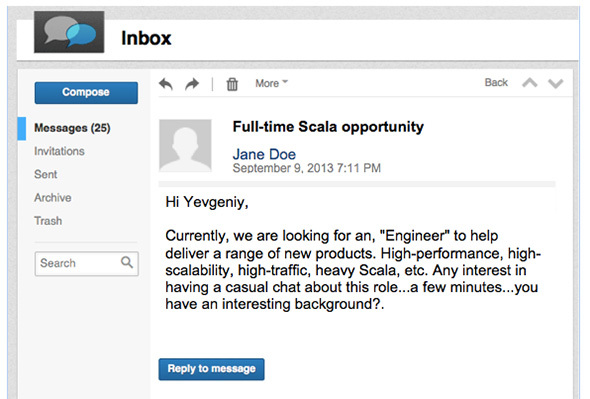 In this case a business development position was sent to a software engineer. 6. Maybe you want to be “frugal” with your punctuation? Proof-read (again!) and make sure that your punctuation does not in fact convey the opposite of what you are trying to accomplish. 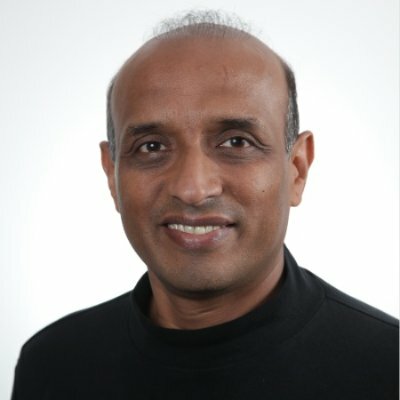 Is a “good” employee the same as a good employee? 7. Templates are an amazing timesaver, but you still have to customize them. Such mistakes show that you didn’t invest your attention or interest in the candidate as an individual. If you treat them as an afterthought, you can expect the same in return. So dear InMailers, please make a New Year resolution to not be on the next year’s list. And have a great 2014. Special thanks to Yevgeny Brikman, who as a highly sought-after engineer, has been on the receiving end of a few of these.